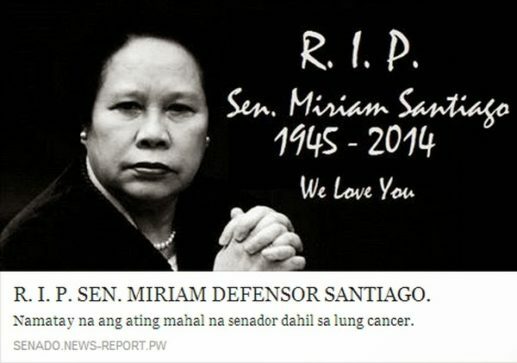 Former senator Miriam Defensor-Santiago died of cancer Thursday morning. She was 71 years old. Her husband Atty. 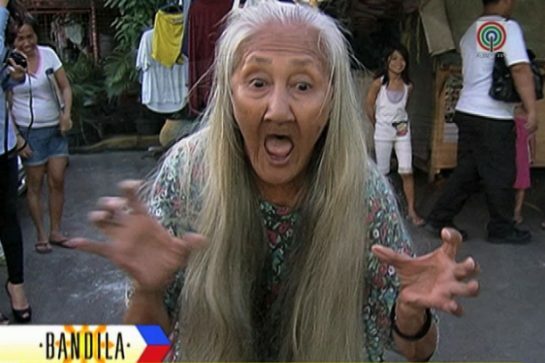 Narciso ‘Jun’ Santiago confirmed that she passed away peacefully in her sleep. 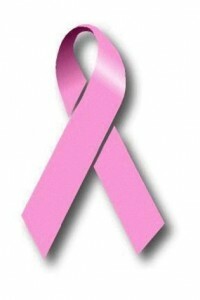 Earlier this month she was confined to St. Luke’s Medical Center at Bonifacio Global in Taguig for cancer treatment. Santiago stayed there until her death this morning. The lady lawmaker was diagnosed last 2014 with stage 4 cancer but announced that she had overcome her illness after a year. Santiago even ran for president during May 2016 election but lost to Rodrigo Duterte. Before the election Santiago filed an indefinite leave from the Senate due to her health. She was hospitalize last May because of lung complications. She was known as the ‘Iron lady of Asia’ due to her efficient fight against graft and corruption in the country. Senator Grace Poe announced Santiago’s death during its hearing on Freedom of Information Bill early this morning. Her remain will be brought to Immaculate Concepcion Cathedral in Cubao.